The outflow of fund in any organization is dedicated towards Purchase, whether it is Service Industry or Manufacturing Sector. ORECS gives a dynamic control across all the purchase processes. Each of the Vendors and Service providers which deal with supplying the Material or Service, has to be registered in ORECS, without which the payment cannot be processed and hence keep a check in traditional transactions leading to leakage of un-utilized funds. It starts with a submission of Material Requisition Request which is raised by actual user or the consumer of the product or service to be purchased. This further goes to the concerned department and authority for approval predefined by the Management. Various multi level hierarchy can be organized for approval of Material Requisition Request to controlling and scrutinize the utilization and productivity of the material or service to be purchased. On successful approval, the process automatically generates a first version of Purchase Order with pre-defined Terms & Conditions mentioned while dealing with the Vendors and Service providers. Purchase Manager can change the prefilled values in Version 1 of Purchase orders as per his agreeable limits and then give a second approval to it. Final approval goes to the top management where the responsibility of approval of previous version lies on the Purchase Manager, and hence distributing and managing the Responsibility Matrix without any human intervention. Purchase department has the most corrupted impression ever across any organization. ORECS minimizes the occurrences where either employee or vendor can find a gap between the actual expense and perceptual expenses of the Management. In ORECS, the distribution of responsibility across multiple profiles gives the transparency among the employees and enforces loyalty with the Management. ORECS has extended this vital cycle to ground level staff (usually don’t have laptop/desktop ) environment as in ORECS mobile app enables user/site person to request required material scattered in different site locations. ORECS caters basic purchase cycle in advance manner , Purchase person can have assess the need and determine action for with exact specification, site wise need and considering time line. 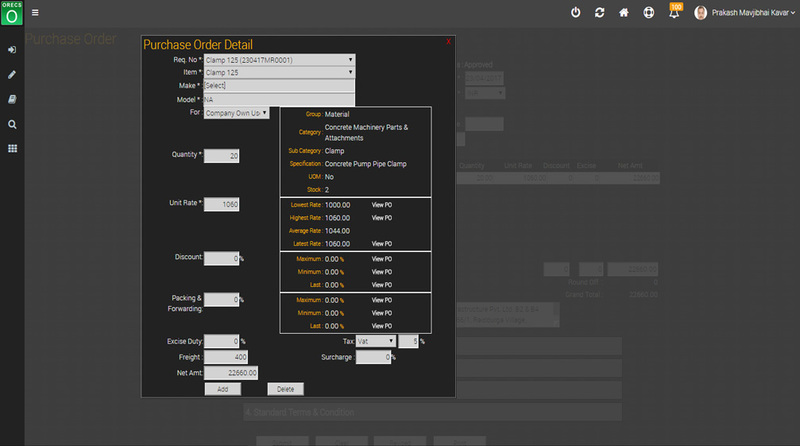 Purchase request to purchase order cycle extension is payment by buyer and receipt by buyer. Considering factors of material logistics for geographically diversified locations , physical receipt confirmation is very vital. ORECS caters this need seamlessly by providing entry access to site staff and communication and reporting of the same in effective manner to management staff. 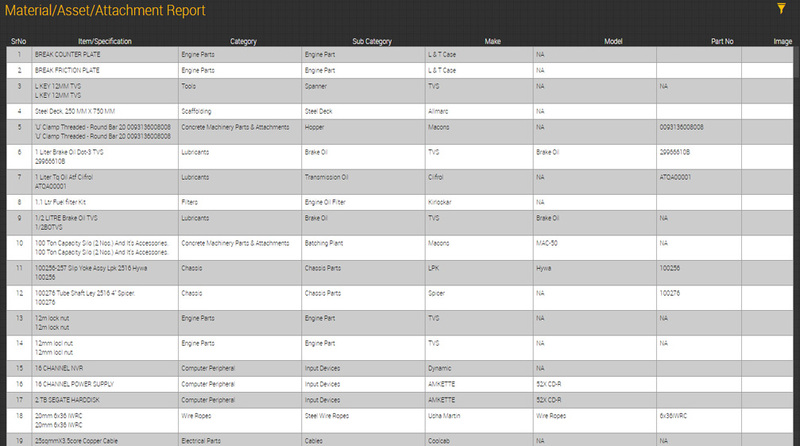 Materials Consumption Report. 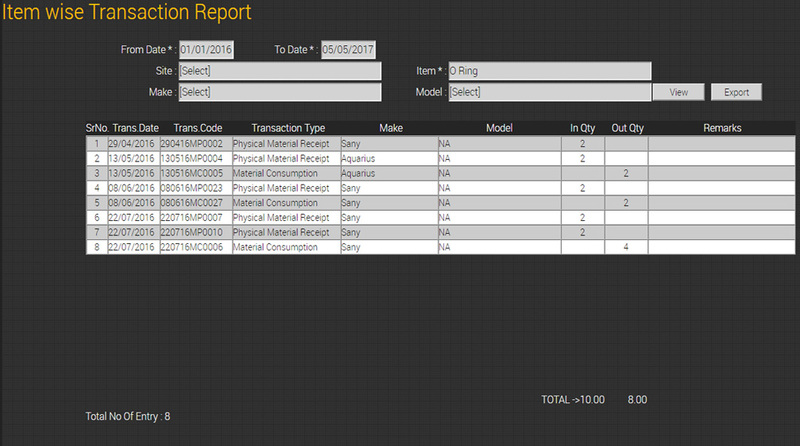 The materials consumption report is a document used in the production process to summarize the goods used during a specific accounting period. 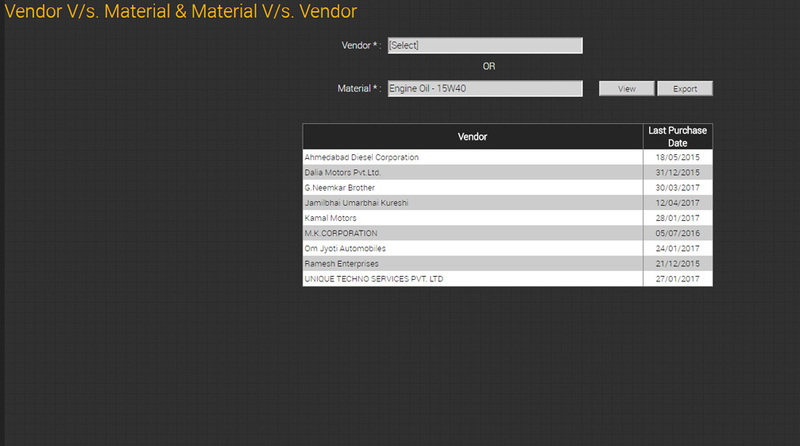 ORECS provides material consumption site wise , machinewise, item wise , duration wise with cost. The above is vital determination for decision making process for benchmarking of material consumption by considering location, site and machine performance. ORECS addresses the modern and very essential need of industry in terms of inventory management. ORECS stock update provides platform to manage write off, financial year auditing, other stock update scenarios. Usually in conventional manner this is being taken care by offline paper approval, whereas ORECS enables to monitor such instance in site wise, machine wise and item wise. ORECS covers the complete sphere of material management. With purchase orders, you can prevent over-purchasing. You can stop overlapping orders with a supplier. If your inventory management system tells you you’re low on supplies but your purchase orders show you’ll receive a shipment tomorrow, everyone in your company will know that you’re in the clear and not to reorder. Need to estimate how much you’ll spend each quarter? Go back and review your past purchase orders for a glimpse. History repeats itself – especially in business. To know how much you’ll need in the future, get familiar with how much you’ve bought in the past. Not only will this help you plan for the supplies you need but it can also shed some light on which areas of your business are selling particularly well. On some occasions, a supplier might be backlogged or might start to slow down their delivery times to you. Looking at past purchase orders can help you see when this is happening so you can either find a new supplier or discuss the situation with your current supplier. ORECS purchase order reports in consideration of above business interest with status of PO in approval /approved stage. 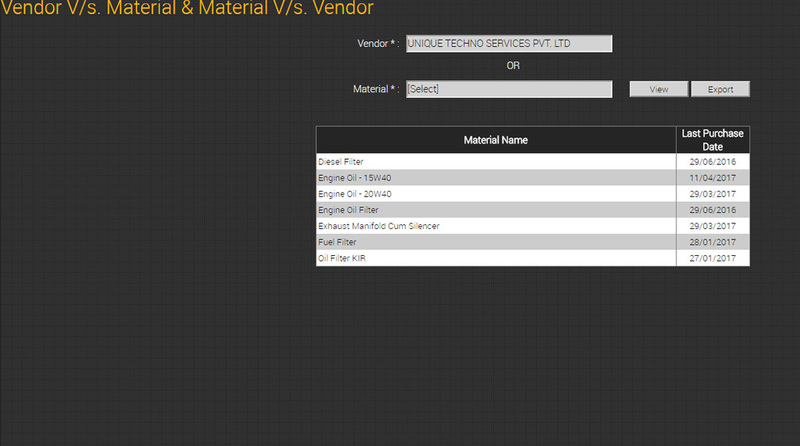 A typical conventional material / purchase Request to Purchase order cycles is having many steps consisting. ORECS made the above process very simple additionally buyer will have ready reckoner of low to highest and average price of item needs to be purchased on same screen. ORECS plays vital role on bargaining of rate/price of material between vendor and buyer in factual manner. 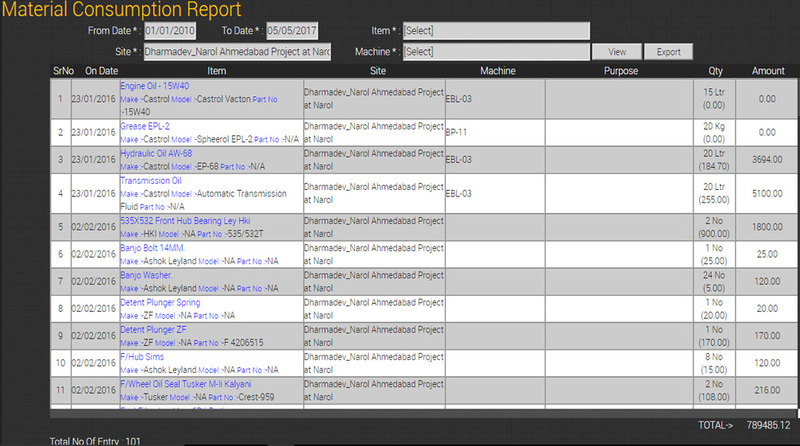 Historical PO is hyperlink as ready reckoner in ORECS for buyer. Generally , costs can be divided into two main groups. Ordering costs and holding costs. Ordering costs can simply be described as the cost of the personnel that actually place the orders and the costs associated with expediting or shipping the product. Holding costs, on the other hand, are a little deeper. There are storage costs such as building rent, material handling equipment, labor to receive and manage the inventory, stock losses like theft and damage just to name a few. 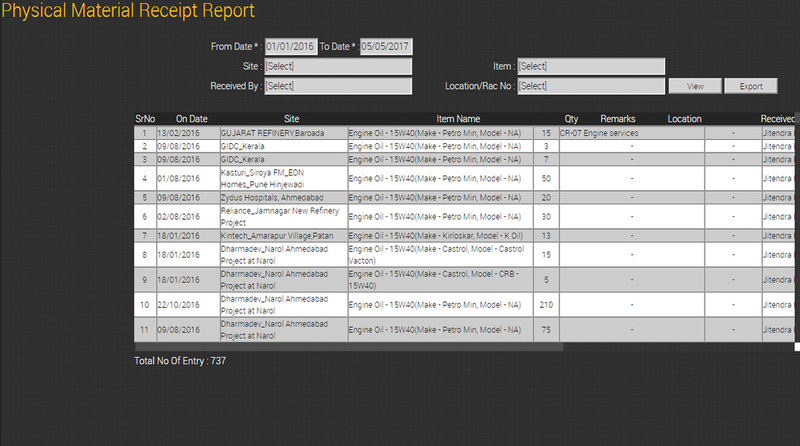 ORECS inventory reports provides data of site wise as well item wise with not only cost but even last replenishment made which gives elements of decision. Inventory is division when all movement is needs to be monitored. Each difference from opening stock to be recorded and monitored. Itemwise transaction whether it is movement to other site (followed by physical receipt at that site ) and consumption with track of numbers viz. machine wise, make wise and model wise. ORECS helps to determine need of minimum inventory to be maintained if material movement is frequent. In most companies, procurement operations are loosely coordinated. It’s common to find different units within the same firm buying the same product with a different buying method that results in a different price and service level. The challenge facing a company is to obtain an optimally integrated enterprise-wide strategic procurement that allows it to leverage the purchase to achieve the most cost-effective strategic procurement of quality products at the highest level of customer service. ORECS helps you to have strategic source management by a single item with multiple sources with details of previous transaction as a ready reckoner for evaluation. A supply market’s complexity is determined by how difficult it is to buy a certain item. Buying becomes difficult when a small number of suppliers are dominant and very little competition exists ORECS provides effective means to evaluate such action required zone to improve source base. 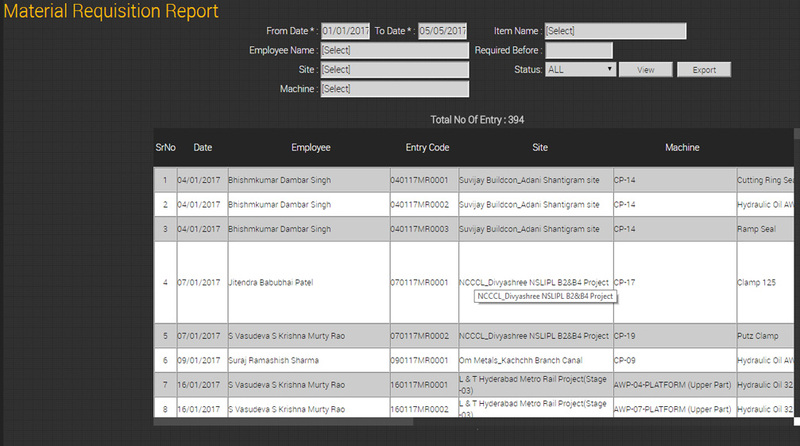 It eliminates the time delay of purchase personnel for start interaction with vendor as he will be having historical data and multiple option on tip. 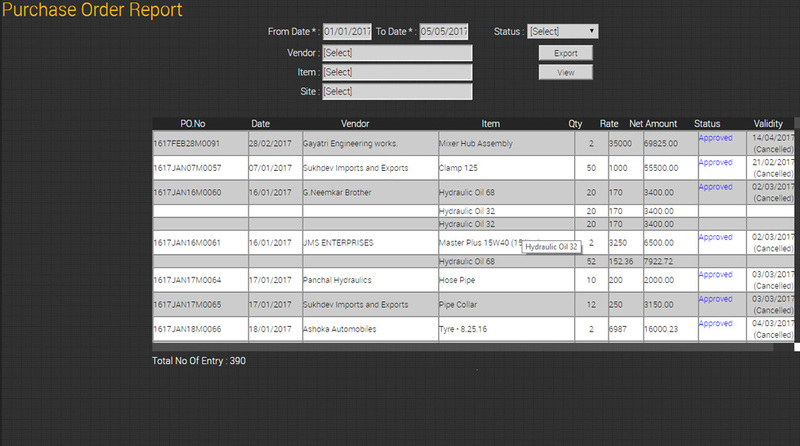 ORECS helps you to manage site wise, Make & model wise, Item wise minimum inventory . 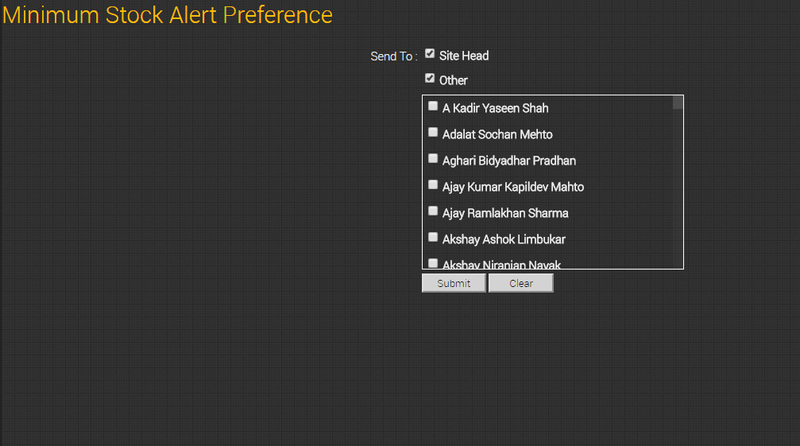 which puts sourcing person in comfortable position so effective purchase can be done , instead of emergency purchase. 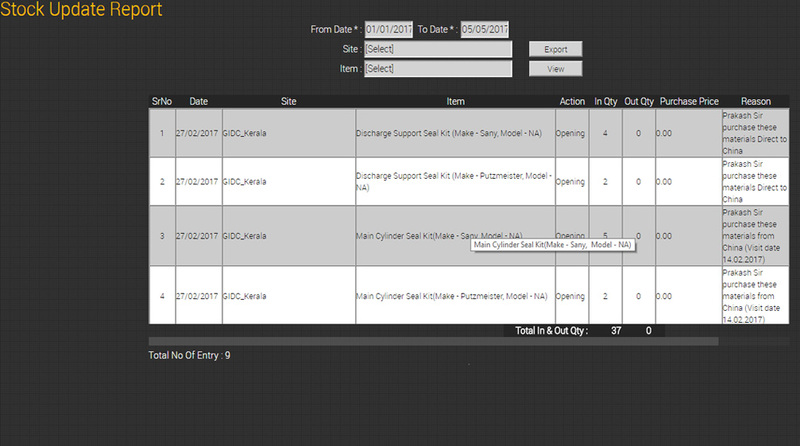 ORECS functions as alert assistance when inventory hits minimum stock and communicate the same to action owners. Minimum stock is important for all commerce businesses — regardless of whether they’re following a Min/Max inventory system, or whether they’re dealing with cyclical and seasonal customer demand patterns. In fact, maintaining Minimum stock is an essential part of handling availability, sales, retaining business and making customers happy. Therefore, your minimum stock level must be high enough to cover your vendor’s delivery times, sufficient enough to cover your customers’ demand, but not so high that your business loses money because of high carrying costs. 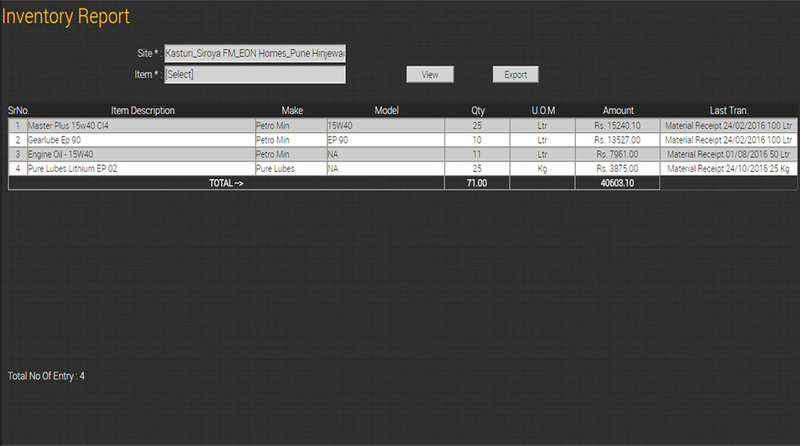 ORECS helps you to manage site wise, Make & model wise, Item wise minimum inventory . which puts sourcing person in comfortable position so effective purchase can be done , instead of emergent procurement which usally costs very high. Although strategic sourcing focuses primarily on reducing costs, its foundation is building longer term, win-win relationships with key suppliers to give buyers a competitive advantage. 1 The nature of the relationship underscores the success of strategic sourcing initiatives. It is critical that both buyer and supplier work together and share information to identify opportunities that will signifi cantly increase savings over time. Purchase is all about strategy and negotiation ,The objective of the negotiation is to rely on analytical support of data and facts to address multiple issues that will develop a long and lasting relationship between the buyer and supplier. If carried out correctly, a fact-based negotiation process should produce win-win outcomes for both buyer and supplier that can ultimately lead to stronger relationships with fewer suppliers. ORECS provides vendor wise material with last transaction which becomes very good data feed to ascertain vendor capabilities and degree of negotiation can be decided as per last transaction . Except few exceptions industrial machinery are not in use without accessories /attachment. Such attachments becomes part of the machinery and same needs to be treated as machine as a whole. 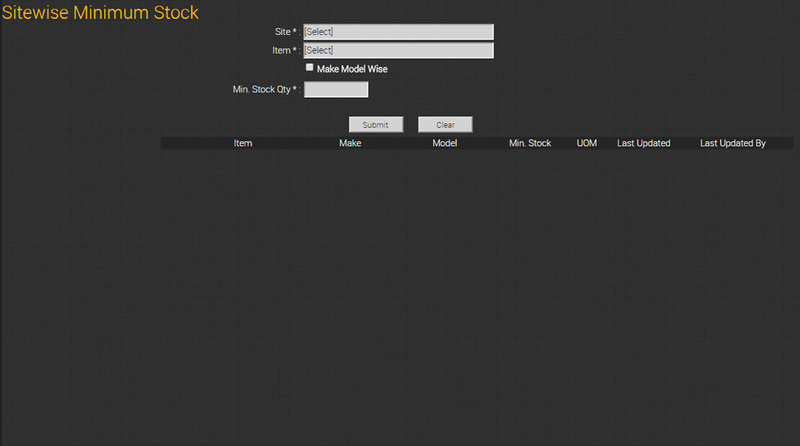 ORECS addresses inventory of asset wise attachment in make , model with other essential details. ORECS combines master data of machine and asset with attachment which established its unique solution for handling machine as package and its management.